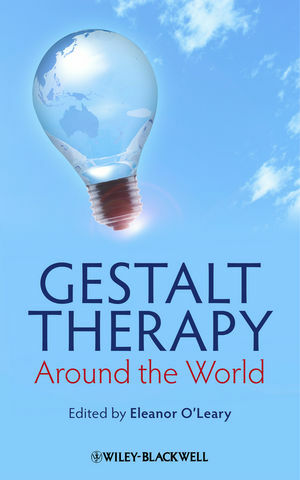 The first internationally focused book on gestalt therapy to provide a comprehensive overview of current practice around the world. During her career, Professor Eleanor O’Leary has authored a number of innovative books including New Approaches to Integration in Psychotherapy in 2006.The outcome ofher research has also been published in a number of leading academic journals. She was Professor and Head of the Department of Applied Psychology, University College Cork, Ireland and Visiting Professor at Stanford University, USA. She is currently a Visiting Professor at the University of Malaga, Spain. She is also accreditations officer of the European Institute of Integrative Psychotherapy, and Honorary Life Chairperson of the Irish Gestalt Society. A practicing psychotherapist and supervisor, Professor O’Leary is also a Fellow of the Psychological Society of Ireland and in 2000 received its Special Award for Outstanding Contribution to Psychology. Her varied career has given her a unique insight into the development and application of gestalt therapy.